Columbus, Ohio (April 25, 2016). Prince & Prince, Inc. (P&P), a leader in market research focused on the floral and green plant industries, has released a forecast for the retail value of U.S. consumer floral purchasing for the upcoming 2016 Mother’s Day holiday (Mother’s Day is Sunday, May 8th, 2016). 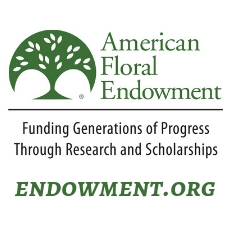 The P&P U.S. consumer floral aggregate spending forecast is $4 billion dollars at retail ($4.04 billion), including all fresh cut flowers (floral arrangements, bouquets, bunches, & single stems/ corsages) and indoor potted flowering/ foliage plants & planters, plus any associated delivery/ handling services. Mother’s Day floral market in the U.S., many in the floral industry don’t see a real need to aggressively expand advertising efforts for Mother’s Day. P&P’s 2016 consumer floral spending forecast is slightly higher than their 2015 Mother’s Day projection, which was $3.9 Billion (Prince & Prince, 2015). P&P project that for 2016, each purchasing household, on average, will spend about $76, including all household members making a floral purchase, and with associated delivery/ service fees included. P&P’s tracking survey reveals significantly greater purchasing propensity for Mother’s Day among households under the age of 45, among single male households (compared to single females), among households with children and/or teenagers living in the household, and among higher-income households. Prince & Prince has been tracking U.S. consumer floral purchasing behavior for Mother’ Day (and for 20+ other holidays, events, and occasions), and the market channels of floral purchase over the past two decades with their periodic surveys of floral-buying households that are randomly selected throughout the U.S. (over 6,000 P&P household surveys completed since the initial survey in 1996, as well as surveys in 2000, 2007, 2010, and 2013; Prince & Prince, 2014). Thus, P&P is able to identify salient consumer floral-purchasing trends over time for the U.S. floral industry. Prince & Prince is currently seeking research co-sponsors for a 2017 update of the P&P U.S. Consumer Floral Tracking Survey (specific survey content at the P&P web site). 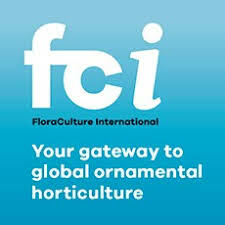 Research co-sponsors receive the one-day floral market presentation first thru an on-site seminar with Q&A, the complete 800+ slide presentation on flash drive, and research co-sponsors receive exclusivity of the market information for a one-year period. Interested parties should contact P&P for research sponsorship opportunities. Special Note: This consumer floral research was sponsored by Smithers-Oasis North America (SONA). P&P sincerely thank SONA for their support in making this market research possible, providing benefit for the entire floral industry. The P&P consumer floral research is now available to the floral industry with an on-site seminar format, including Q&A session, as well as a “Seminar on Flash” from P&P. Prince, T.L. and Prince, T.A. (2015). Prince & Prince Project the U.S. Consumer Floral Market for Mother’s Day 2015 at $3.9 Billion Dollars. Columbus, OH: Prince & Prince, Inc. (Press Release). Prince, T.L. and Prince, T.A. (2014). The Prince & Prince U.S. Consumer Floral Tracking Survey, 2014 Edition. Columbus, OH: Prince & Prince, Inc (On-Site Seminar). Drs. Tom and Tim Prince, formerly of The Ohio State University, are brothers and co-founders of Prince & Prince, Inc. (P&P), a leading marketing research specialist in the floral and green plant industries. P&P has completed more than 75 major marketing research projects and countless reports for the floral industry in the U.S., and has also conducted research in Canada, the United Kingdom, Holland, Germany, and Spain. P&P conceptualize, design, and implement market research projects and product tests for floral and green-plant suppliers, hardgood suppliers, floral importers, wholesale florists, retail florists, floral-industry associations, and companies serving the allied floral trade. For more information about P&P specialized marketing research and services, and their informative on-site floral market seminars, visit their web site at www.FloralMarketResearch.com, or contact Prince & Prince.